Hafod Cheddar cheese – The Courtyard Dairy. Hafod (pronounced Havod) translates as ‘summer house’ in English. Made from a small farm with only 65 Ayrshire cows. 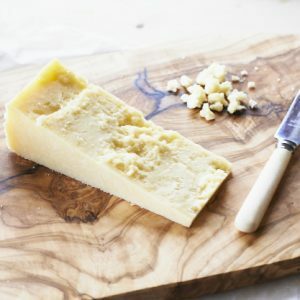 Hafod is a clothbound Cheddar from a very traditional recipe, this produces a cheese that is buttery and smooth, with that special Cheddar tang. At The Courtyard Dairy the best Hafod Cheddar truckles are carefully selected then matured on-site a bit longer (to 14-months). The 14-month old cheeses retain their buttery flavours alongside developing a real unique special tang. Made by The Holden Family in Llangybi, Lampeter, Wales. Sam Holden returned to the family farm in 2005, giving up his life ‘in the city’ to help his father, Patrick Holden. Patrick Holden was an influential figure that helped set up the Organic movement and the Soil Association in the 1980s. Their farm, Bwlchwernen Fawr in West Wales, is a 130-acre organic farm with only 65 cows (the oldest registered organic farm in the UK). The farm’s pasture is poor and Patrick has held onto a traditional cow breed, the Ayrshire, the use of which was starting to become uneconomic in the late 1990s. With only a small area of poor quality pasture and only 65 Ayrshire cows, the Holdens decided the only way to make the farm profitable was to make a cheese, Hafod, and to make Hafod the best cheese at that! (Ayrshire cows don’t produce much milk, but what they do produce is buttery and rich, and ideal for cheese making – much better than the black and white Holstein Friesians you commonly see about the countryside). So Holden Farm Dairy and Hafod Cheddar Cheese were born. 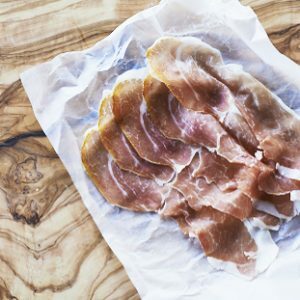 For several years Sam developed his recipe using guidance from ‘Lincolnshire Poacher’ and Dougal Campbell’s cheese recipe. Eventually, however, Sam discovered an ancient book on Cheddar-making (by Dora Saker) and decided to re-invent Hafod Cheddar. 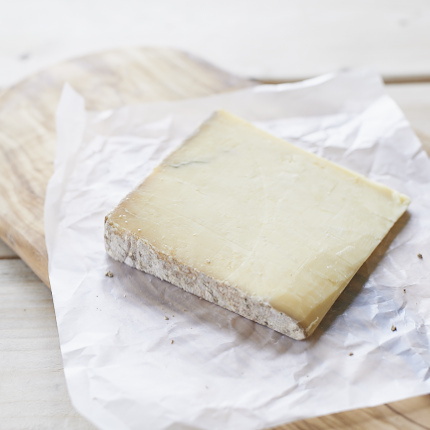 Following Dora Saker’s written guidance and advice, he has created a clothbound Cheddar that is quite distinctive – buttery, with a yeasty and toasty flavour, followed by that Cheddar tang. 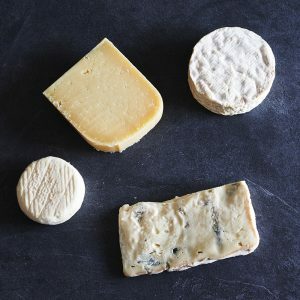 Hafod continues to be made on the farm in this amazing and unique way but day-to-day cheesemaking is now carried out by head cheesemaker Rob Howard who has now taken over the day-to-day cheesemaking. On Bwlchwernen Fawr, ‘Hafod’ is an area of meadow next to the river Aeron where all the cows graze as heifers before joining the milking herd. 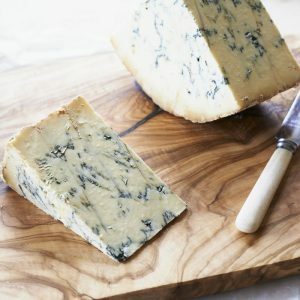 Some small bits of Hafod cheese may occasionally have blue veins, which is entirely natural (and tasty, too!). Read more about that natural blueing here. Find out more about Hafod from The Courtyard Dairy’s recent visit: How to make Hafod Cheddar Cheese. My favourite Cheddar cheese ever. I can’t stop eating it everyday. A really super place for lunch with an interesting and informative museum and that’s before you taste the cheese! An unexpected treat. Of the cheese we tried we bought the Hafod.